Since I have switched to Webroot SecureAnywhere and am enjoying the best performance on my laptop. It is getting really tiring to get false positives every day, submit a request, and wait till the files are whitelisted. The support team are fast in responding but the amount of FPs is just too much to bear. I thought that Panda Cloud Antivirus was the king of False positives but Webroot SecureAnywhere blows it out of the water! Now I just tried accessing https://www.privateinternetaccess.com which is a very well known and good VPN that I've been using for long and got another message. I did submit a request to unblock it but is there a possibility of Webroot's team to fix this horrible False positives issue? I've read many complaints on other forums as well about this issue some people would not tolerate them that they switched to another AV. Nope...sorry, but just does not get blocked for me...not sure why it does for you but apart from that first site you posted no issues here, and a quick client side override gets one on the way with no real hassle. Well, au revoir or not as the case may be. Hope that you find what you are looking for security app-wise. MadeMeCry...go for it and start a Feature Request...I for one will add comments and support it if it is along the lines suggested by Dan. No FPs whatsoever here and I suspect for the vast majority of user. I would strongly recommend following Daniel's advice (2 post back) as it is the right approach. I am a happy user of WSA but the FP issue with the webshield is getting very annoying. It is OK saying "you can be part of the solution" but the complaint is that many of us have tried over many months to do this and the situation is not getting any better. I personally have posted on Wilders, exchanged private messages with Joe, submitted several support tickets and spent some time providing multiple examples. The fact them so many valid commercial sites (e.g. 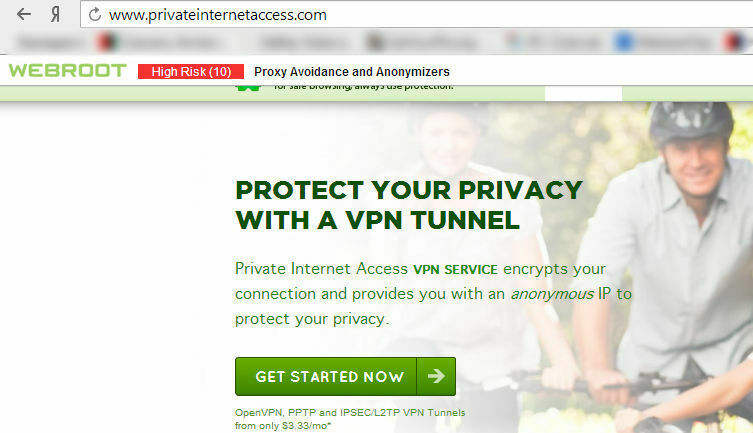 VPN providers) are being blocked (not just warned) is plain wrong and has not been fixed. The only valid reason I have had back in that time is that the site list is business focused rather then consumer so many sites that businesses might want blocked from users are included. How true this is I don not know but it does not help us consumers if it is. Hope that you are well? I am bemused because the Threat Filtering addon just does not seem to give me anything other than the very occassional FP...it either allows sites or has blocked a few that on investigation have seemed suspect (as far as I could tell)...and where I have had the FPs I have created a local override and then posted the FP via the URL Reputation Site...no real issues. It is the disparity in apparent performance that to me is the great mystery. Hi Baldrick - I am well thank you. Bemused too, believe me. Clicking on 'Reply' within the 'My eBay' section of eBay to respond to a buyer's question, and seeing not a 'Suspicious threat' message, but a 'Malicious software threat' message really made me lose faith in the feature. You are correct about the business focus when it comes to sites such as VPN providers, which does make sense in a business environment. You could post a suggestion in the Ideas Exchange to treat these specific examples differently for the consumer and business products. I am very sorry to see you go... Personally, I prefer to keep the best lightest AV on my computer. A temporary problem with a few FP's is well worth it to me to have the best overall protection available. False positives on keygens and activators erm what? Keygens, hacked .exe's, actvivators, etc all have been used to pass malware. In the case of activators, since they alter the software they are often flagged as malicious anyway as they behave as a virus would in altering the software. Anyway use of activators illegally. The false positives from this web filtering extension are becoming somewhat of a joke. I had a 'Malicious software threat' when trying to respond to a buyer on eBay - not some rinky-dink shopping site - eBay. Adelaide Metro, Adelaide's public transport website, resulted in a 'Suspicious threat' message. Also problematic is Webroot's URL Reputation Change Request site. I've submitted several URLs using this service, always leaving my details and checking the 'Receive Notifications' box. Not once have I ever heard back about a site I reported. It's getting to where I'm seriously considering switching products. I just checked my own forums http://forums.tweakarena.com and that has a not so good reputation as well. I think the guys who are handling this department really need a kick. Do they just blacklist the entire web and then start whitelisting them as per request??? been almost 24 hours and no reply yet. thank guys, you have been the friendliest and most tolerant bunch I have seen on any forums. But let's just part on good terms. going back to my heavy NOD32, I will bear the performance drop to have the ease of mind. When I use an AV, it has to work properly out of the box, I don't want to disable anything. The core must be fixed, not disabling features to make something work. Webroot has a lot of potential, it covers the main point perfectly, which is keeping you protected. Maybe one day someone responsible will see this and make the guys behind these FPs realize that it annoys some customers. I have seen many complaints about this on Wilder Security but didn't bother until I experienced it myself. No activator, crack, or keygen was ever detected as a virus unless it really was. With WSA, I had to contact support for the Adobe Acrobat Pro XI activator, PassMark Performance Test activator, and a few others. @The_Seeker. I didn't receive one reply about the 4 sites I submitted since more than 24 hours. For the person who said that keygens are illegal. They are, but our discussion here is their detection not what they activate and the legality of that. What I like about NOD32, is that if it detects a bad keygen that is going to harm my system, it detects THAT. not simply detect every keygen made in the world or activator. they are not made for piracy, but rather, made for people who are sick of dialing Microsoft to activate their genuinely purchased product, then have to spend a minimum of 10 minutes entering a large Installation ID, then spend a long time waiting slowly to hear the Activation code. That is when an activator becomes legit. you own the software legally but want to bypass the stupid activation methods that some software use. An AV is supposed to tell me when a file is going to change critical stuff or harm my system, not to play as the police officer. Thank you for agreeing that this is a major nuisance for a user. I hope that one day this would be fixed because False positives, be it files OR Wenbfiltering are the only reason that blew me away from Webroot. I will keep my 3 year license which is for 5 PCs until one day Webroot matures more to enable me to use my system properly without headaches. Until then, I will continue to use my NOD32 license and suffer from a huge performance hit but at least I have no false positives.